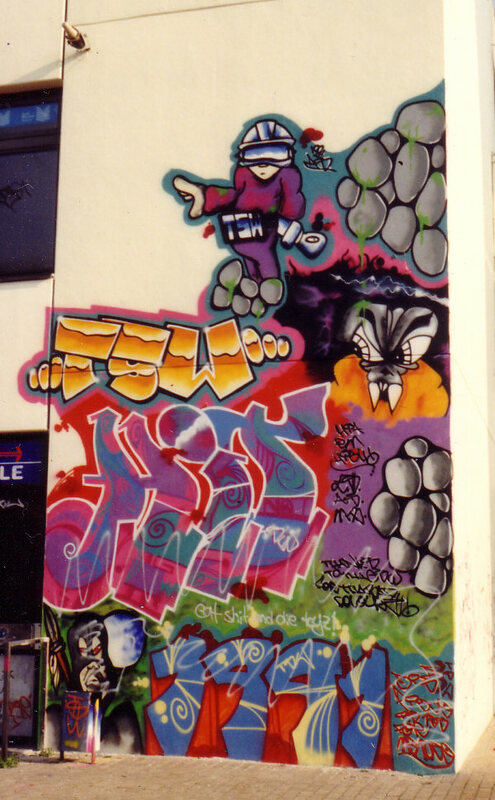 I did this piece at the main entrance of my school in 1991 together with Salomon aka Scez aka Keno (who died in 2004) and another guy who painted just for a short time. 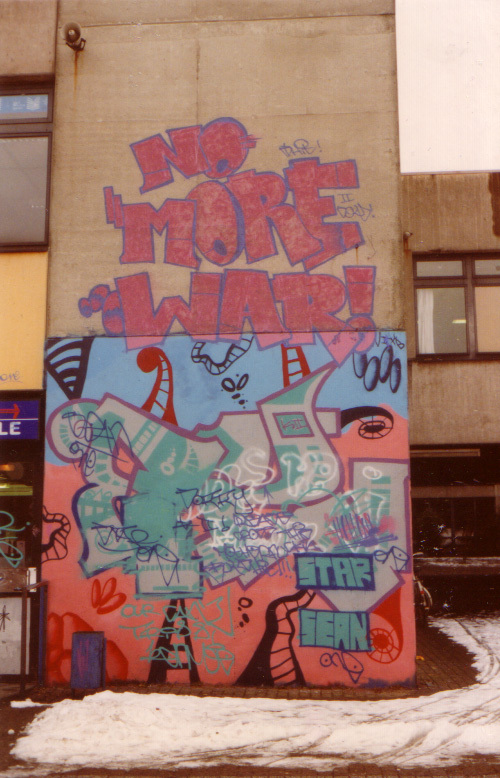 I made the "TSW" and the "Hit" while Salomon made the characters and the "1991". The other guy did a helper job I think.